The Bluewave Get ($129) is the first Bluetooth adapter/amp I’ve seen that includes aptX HD, the higher-data-rate version of aptX that, as I found in my online blind test, does offer a readily perceptible improvement over regular aptX and the stock SBC Bluetooth codec. It has an integral microphone so you can take phone calls with it, so now audiophiles can annoy people around them with inane jibber-jabber the same way owners of mass-market headphones have for years. The HiFiMan R2R2000 ($2500) is a fully balanced amplifier with a claimed 0.5Wpc into 32 ohms. It incorporates Bluetooth for streaming from your phone, and it also includes a simple music player for times when you don’t have your phone around. The R2R2000 includes the LHDC Bluetooth codec, enabling it to stream through Bluetooth at data rates up to 900kbps if you use it with the app that HiFiMan offers through the Apple Store. It incorporates two DACs: a Burr-Brown PCM1704 and a generic delta-sigma DAC. The unit is rated to run for eight hours using the Burr-Brown DAC, or 35 hours using the delta-sigma DAC. There is a USB digital input, though, if you need it. It has 4.4mm and 3.5mm balanced outputs. The iFi xCAN looks like the xDSD that I recently reviewed, but it’s very different. It has truly extraordinary output for a portable device, with the balanced output rated at 1Wpc into a 32-ohm load. It has a 2.5mm balanced output and a 3.5mm output that works with balanced or unbalanced headphones. It includes the AAC and aptX (but apparently not aptX HD) codecs for Bluetooth operation. Internals include an ESS DAC chip with jitter reduction and a stepped-attenuator volume control. It also has 2.5mm balanced and 3.5mm unbalanced analog inputs, so it can be used with analog sources. Price is $299 with Bluetooth, $199 without. The Questyle CMA Twelve ($1499) DAC-amplifier dramatically improves on the CMA600i it replaces. It has three outputs: four-pin XLR balanced, 4.4mm balanced, and 1/4" unbalanced. The DAC section handles PCM signals in resolution up to 24/384, and DSD signals up to DSD256 (quad-rate DSD). A built-in 5.6GHz receiver lets it connect to Questyle’s SuperHub SHB2 streamer ($2999). The DAC-amp is also available in the CMA Twelve Master version ($1999), upgraded with a ceramic circuit board and better internal parts. Sony’s DMP-Z1 ($8499.99) is like a combination of a portable player and a tabletop headphone DAC-amp. It’s battery-powered, but at 11" long, it’s not the kind of thing you’ll take on the plane or bus with you. A top-mounted touchscreen controls playback. 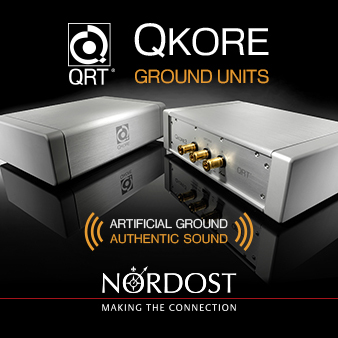 It includes 4.4mm balanced and 3.5mm unbalanced outputs, and supports PCM in resolution up to 34/384, and DSD in resolution up to DSD256 (quad-rate). Play music from Micro SD cards or the USB input. Swan Song Audio’s Class A Amp ($3400, and yep, that’s the actual product name) headphone amplifier is rated to deliver 2Wpc into 60-ohm headphones, and it can double as a speaker amp, delivering a rated 10Wpc into an 8-ohm load. The front panel has defeatable, passive bass and treble controls; like the controls on classic guitar amps, they are cut-only, with no boost. It’s actually designed to deliver a little bit of harmonic distortion -- primarily second-order -- to simulate the sound of tubes without the hassle of dealing with tubes. There’s a DAC built in, and the Class A Amp has one analog input and three digital inputs: two TosLink optical and one coax. You can choose the color of the backlight behind the front panel logo as well as the type of wood used on the sides, and the actual shipping product won’t have all those screws on the top panel.